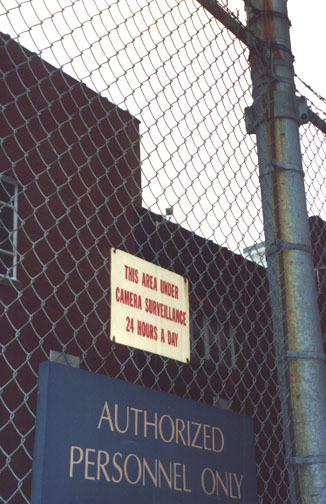 See the security camera up on top of the building, just above the sign? Quit lookin' at me! Quit loooooooking at me!!! !